Our favorite collective of Aussie musicians are back at it again! 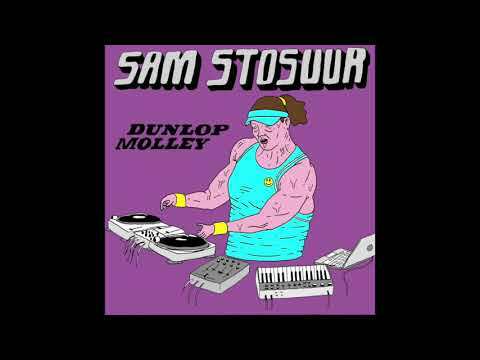 Obviously, the lads we are speaking of are Beats Of No Nation, and this time around they are sporting an upcoming EP titled “Dunlop Molley” from little-known producer Sam Stosuur (not to be confused with Australian professional tennis player Samantha Stosur). Although there is not much literature written about Mr. Stosuur, we do like what we hear from his label. Apparently, Sam is a Brisbane native who grew up playing everything from Jazz to Classical and Avant-Garde. Utilizing his diverse range and background, he has decided to apply his traditional training and dive into the murky waters of dance and electronic music. After acquiring an MPC, Juno, Arp Odyssey and other gear, Sam set off to come out with his first record, and this is the result. A tune from the 5-track EP that we cannot get enough of is his original Stosuur Christmas Jam. Sam’s traditional stylings take center stage in this one, as he chooses to pair improvised instrumentation with an electronic assortment of dusty hi-hats, reverb, and moody synths. This gives the song a distinct, free-flowing jazz feel that builds and builds throughout its entirety. In the end, the listener is rewarded with a moment of clarity, as an intimate array of vocals transcend above the noise – almost acting as a lullaby that gently massages one’s ears into a state of utter relaxation. If you’re like us and like what you hear, make sure to buy Sam’s debut when it comes out Friday, August 24th. Click here to purchase.